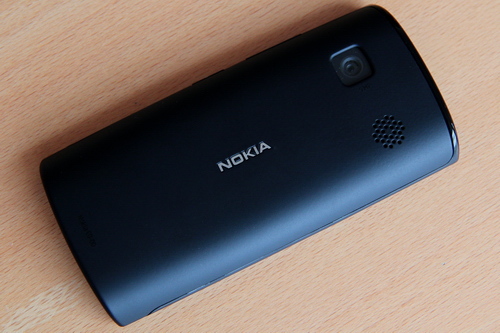 László has found a hungarian blog that has some live pics of the newly announced Nokia 500. 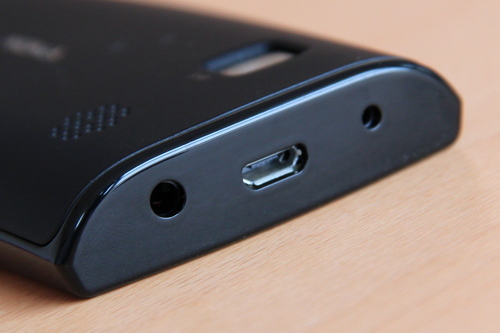 It looks deceptively slim but it’s actually 14.1mm at the thick end. 111.3 x 53.8 x 14.1mm, at a quite light 93g. The curved nature means it’s easier to hold as it tapers at the edges rather than having a thick cuboidal block like the 5800. Some inspiration perhaps from the X7 though not quite as svelte. The LCD screen. Joining the ranks of the E6. 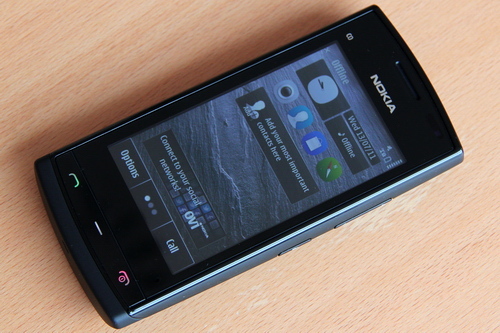 It’s the first nHD S^3 without AMOLED. 3.2″ capacitive 640×360 TFT LCD display. The back is pretty slick. Just one big swooping curve with a cut out for the 5MP camera and speaker grille. The back is special as like the days of 3210, 3310, 7210, 7610 etc, you can take this off and switch it for a different design/colour. 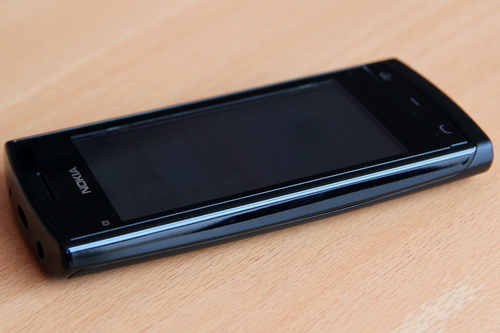 (though this those older Nokias you can take the front off too). Hot pint is supposed to be coming. The fronts come in black and white btw. I don’t think these are as easy to change. Thanks László for the tip! « Goodbye Nseries/Eseries/Xseries! 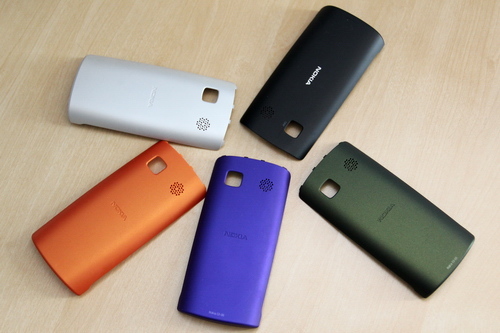 Nokia New Naming Conventions. Again. Sticks with just Numbers.